​﻿​Home Movers Operating A Moving And Hauling Company Dedicated To Doing What's Right! We Offer The Most Affordable Moving Rates On The Island! As one of the top moving companies in Victoria BC we offer a variety of services that will help you fit your needs. Our moving rates are more affordable than any other moving company you will come across, we dedicate ourselves to quality customer service and provide Vancouver Island with moving rates that cannot be beat! Professional home movers that strive to deliver moving services at a cost you can afford and done at a time which best suits your needs. We Haul Cheap LTD offers long distance moving, commercial moving services, short distance moves, Canada-wide moving, Piano moving, junk removal service and more! Plenty Of Moving Companies In Victoria BC, Quality Customer Service Is Here! ​ We Haul Cheap LTD has been built upon delivering the best moving services; we can and always will put our customers first. Home movers In Victoria BC that do everything they can to make sure the job is done efficiently, correctly, and safely. Your satisfaction is guaranteed when working with We Haul Cheap LTD, without our incredible clientele we wouldn't be where we are today. Always making sure your needs are met and that your experience with our moving company is an experience you will be sharing with your friends and family. We do offer a referral program and if you have been referred by another client of ours please do let us know so we can reward both of you! Your happiness with our services is very important to us, we love the people of Victoria and cherish the opportunity to give back to our community. Doing our best to offer something different than the rest, we dedicate our time and energy to providing moving services you can trust. Home Movers Who Challenge Adversity And Tackle Long Distance Moves! ﻿ Moving and hauling services all across Canada, that's the level at which we run our company. Doing everything we can to make our moving company accessible to people in need and providing free estimates to all those who desire to work with our home movers. We Haul Cheap LTD is a moving company with rates that definitely put us in another bracket when it comes to affordability. All of our house movers carry an energy that you'll want to be around. A long distance move can be quite time consuming but throughout the whole experience we can guarantee you'll meet some people you will be happy to be around. Genuine, kind, selfless and grateful; these are the people we choose to employ. Questions About Our Services? Email Us Today! We Provide Moving Services You Can Count On! Our mission as a moving company in Victoria BC is to be able to expand to the point where anyone in Canada can give us a call and we'll be at their door within minutes. We have such strong beliefs in our moving services and the quality of our workmanship that we desire to serve everyone who truly needs help. Offering moving rates that cannot be beat and guaranteeing a service that will brighten your day. Moving isn't always part of the plan and we do understand things can be stressful, let us take some of the weight off your shoulders; we can help! Call us today to speak with one of house movers and talk about your needs specifically, we do everything we can to give you what you need for a price you can afford. It's 2016 and we now have a brand new website! 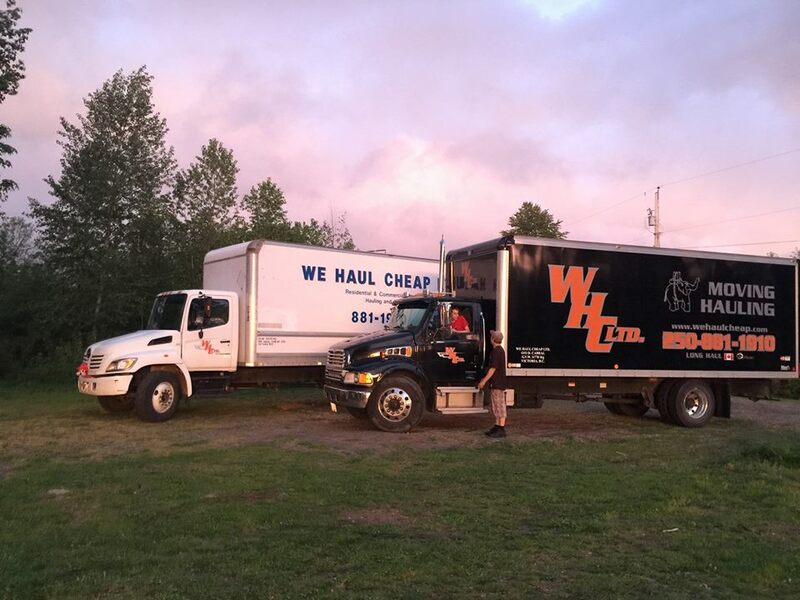 Here at We Haul Cheap LTD we do everything we can to make our moving services available to you; striving to expand our company we put energy into the things that matter. This means dedicating ourselves to giving quality customer service, offering the best moving services at a rate that separates us from other moving companies and working in a manner and a pace that has our customers saying things like "We Haul Cheap gave us the best junk removal rates we could find, they arrived on time and were very professional". We have testimonials from over ten years ago that are almost identical! Our moving services have only evolved and become more accessible; now as a well established moving company we are able to get our name out using many different forms of advertisement. Give us a call if you have any questions about our home or business moves, or want to learn more about our referral program and home movers! Questions For We Haul Cheap LTD? Email Us Today! 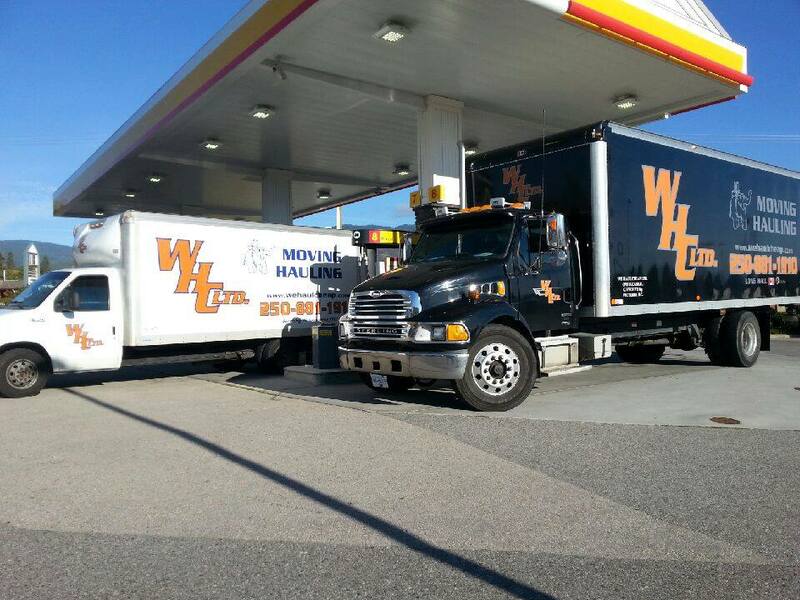 Providing short distance moving, long distance moves, junk removal, cheap hauling, courier services, and commercial moving; we do our best to offer all forms of object transportation to the people of Victoria BC! Have you gotten your free quote? Visit us here, or call (250) 800-3606 today!